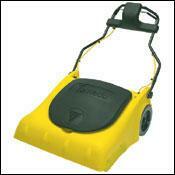 If you are challenged with maintaining large carpeted areas in a mall, airport, convention center, hotel, etc, you ve found your solution in Tornado s CK 3030. The CK 3030 delivers high efficiency cleaning performance, multi stage clean air filtration, and a host of user-friendly features in a robust 30 inch unit. Watch your productivity soar when you replace outmatched smaller units with this Tornado! 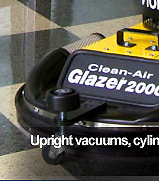 The unit comes standard with a four-stage clean air filtration system, multiple brush height positions, stainless steel and rotational molded components, a safety handle, unique fold up design and large rear transport wheels. A large Tornado unit deeply rooted in our clean air traditions.